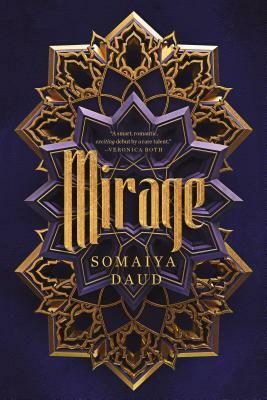 In Mirage, science fiction meets fantasy meets a critical dissection of the violence wrought by colonization in this bold Morroco-inspired debut by Somaiya Daud. On her majority night, Amani is torn from her community by imperial droids and forced to serve as a body double for the half-Vathek princess, Maram, who is hated by both the Vathek and Andalans. With the life of her family on the line, Amani has no choice but to adapt to her new role, but even as she comes to empathize with Maram and finds romance within her gilded prison, she watches and wait. How quickly her captors forget that when they forged her into the perfect princess, they also crafted a powerful weapon… Daud’s first novel is not only a genre-blending sci-fi fantasy novel, it’s also an accessible entry point for readers who are grappling with colonialism, appropriation, and oppression in our very real world.